Gananoque Inn & Spa, an historic inn in the heart of the 1000 Islands welcoming guests with superior accommodation, food, spa services and amenities. The historic Gananoque Inn is nestled on the banks of the St. Lawrence River in the small, picturesque town of Gananoque, Ontario deep in the heart of the world famous Thousand Islands. Discerning travelers have found an idyllic setting and warm hospitality at the Gananoque Inn since 1896. The Inn is just a 20 minute drive from Fort Henry and the Rideau Canal UNESCO World Heritage Site. Chefs at The Gananoque Inn & Spa use local ingredients whenever possible to create regionally-inspired seasonal menus for Watermark Restaurant. They believe in using quality ingredients, including fresh herbs harvested from our on-site garden. Watermark Restaurant also features international vintages and a large selection of VQA Ontario wines from Prince Edward County and the Niagara Region. In addition, the restaurant’s waterfront terrace boasts one of the best views of the 1000 Islands, making it the ideal place to enjoy expertly prepared fare with family and friends. Watermark Restaurant is currently closed until April 1, 2019. We recommend advance reservations, please call 613-382-2165 x 0. (Group bookings can be made on additional days, please email sales@gananoqueinn.com). 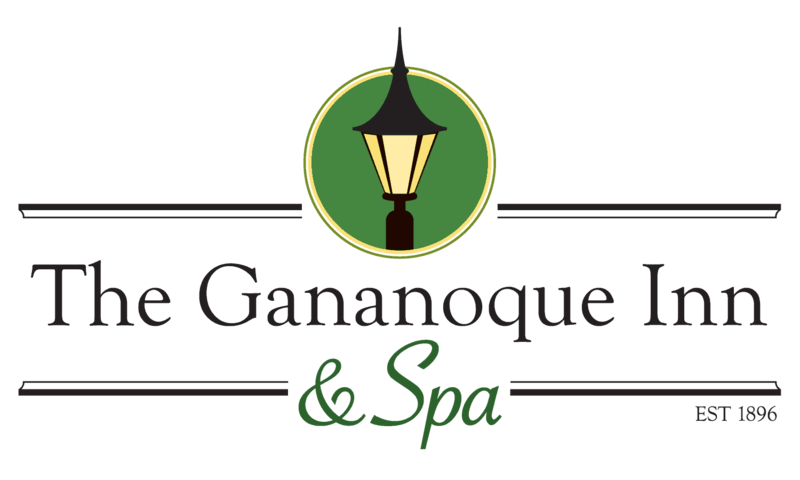 A little pampering goes a long way so while visiting the Gananoque Inn & Spa, take the time to experience our spa services. Sample a variety of treatments with our Spa Therapist/Trainer. Spa Gift Certificates make thoughtful and appreciated gifts any time of the year for any occasion. Consider them for inclusion in corporate packages, for birthdays, bridal or baby showers, or for anniversaries and weddings. Inquire about our 1 Night Spa Getaway Package. Winter Spa appointments are currently available Friday and Saturdays between 10am-7pm and Sun-Thurs by appointment only. Please call (613)382-2165 ext. 1209 to arrange your spa treatments prior to your arrival.